Barclays agreed Thursday to pay the United States $ 2 billion for allegedly deceiving investors about the quality of mortgage deals that fueled the 2008 financial crisis. The Justice Department said the British bank “caused billions in losses” to investors by engaging in a “fraudulent scheme” involving three dozen mortgage-backed securities deals sold between 2005 and 2007. Of the $ 31 billion of mortgages packaged together in these investments, more than half eventually defaulted. Prosecutors said Barclays “systematically and intentionally misrepresented” the quality of these loans to investors. 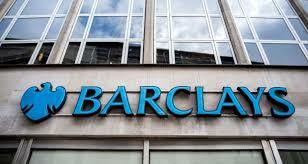 Barclays(BCS) was accused of mail fraud, wire fraud, bank fraud and other misconduct. Barclays disputes these allegations. Paul Menefee and John Carroll, two former Barclays executives who led the bank’s subprime mortgage business, agreed to pay a combined $ 2 million in civil penalties. “The substantial penalty Barclays and its executives have agreed to pay is an important step in recognizing the harm that was caused to the national economy and to investors,” Richard Donoghue, the US attorney in Brooklyn, New York, said in a statement. Barclays CEO Jes Staley called it a “fair and proportionate settlement.” Staley said that, because of the settlement and a 2017 restructuring, Barclays is “well positioned” to ramp up profits and return a greater share of its profit to shareholders. Barclays said the deal resolves all actual and potential claims brought by the Justice Department in 2016 over the bank’s sale and packaging of mortgage-backed securities transactions between 2005 and 2007. The $ 2 billion penalty is less than the settlements reached by Goldman Sachs (GS), JPMorgan Chase (JPM) and other major banks over their pre-crisis mortgage deals.